Mobile MMORPG Rangers of Oblivion arrives later this month, inviting players to join the Rangers, a faction of monster-hunting masters dedicated to defending the land of Malheim. Explore a sprawling 3D fantasy world with friends, or go at it alone and play through a huge range of quests and challenges that will test your tracking, combat, treasure-hunting and survival skills. See the all-new gameplay trailer here < https://www.youtube.com/watch?v=YOzEyX9Qm3U > — pre-registration is still open, so you can grab special in-game rewards if you sign up before release. With an unrivalled level of customisation for a mobile title, creating your Ranger is an adventure in itself. Everything from specific nose-size, tattoos and hunting attire is available to tinker with — after all, you want to look your best when taking on all manner of monsters. There is also an in-game rune system, allowing you to upgrade character abilities, buy skills and invest in more monster-hunting mastery. Your weapon of choice might require careful consideration too, with greatswords, lances, longbows, twin blades, staffs and armoured gauntlets all available. Each weapon has a distinct style and skill set, offering different attributes. You can forge stronger weapons and armour by crafting from the spoils of the hunt, upgrading weapons to help you face the more fearsome of Malheim’s monsters. Malheim itself is an incredibly detailed 3D fantasy world, boasting full day and night cycles, dynamic weather systems, ocean tides, swaying vegetation and foliage. When not in the act of protecting the land and its people from monsters, Rangers can catch wild horses, search for hidden treasure, go fishing or even cook exotic dishes. 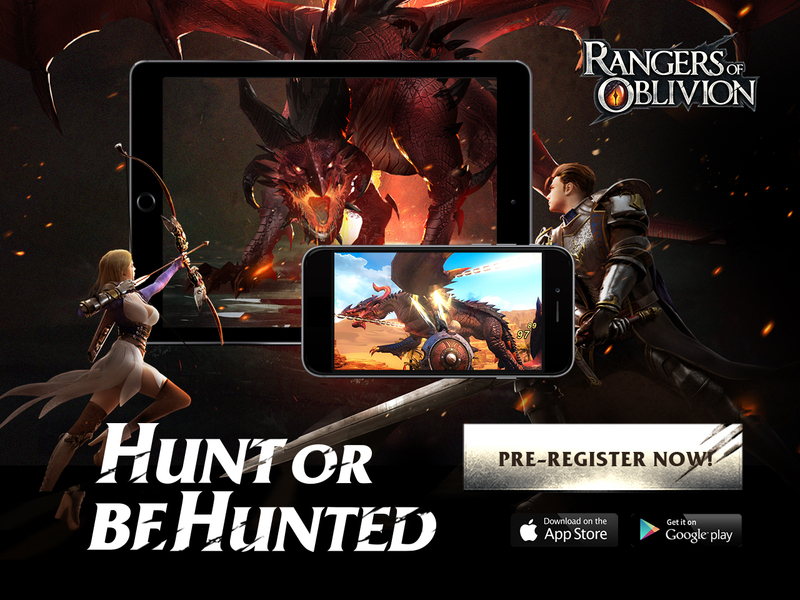 Rangers of Oblivion is the ultimate monster-hunting playground for mobile devices, pre-register before its released on the official website, on Google Play, or on the App Store. Follow the official Facebook page for all the latest updates.